Metal Pressing (06) - Alink Precision Co., Ltd. Regarding to stamping parts, it contains most of electronic product, Alink has design and production ability for all of our client and will fully follow any required specification. 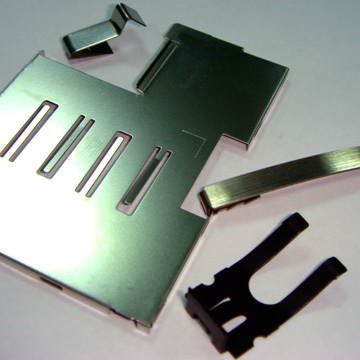 We have made several kind of stamping parts for our client like terminal, RF antenna, mechanical parts...etc. We have confidence in good quality, best price, instant delivery for Alink product.